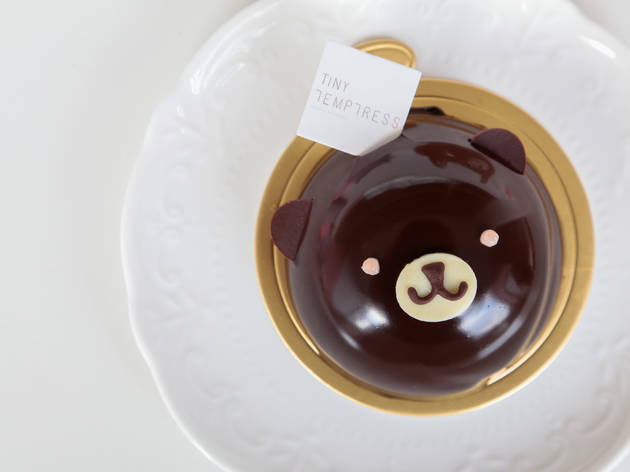 Note: Tiny Temptress is now closed. 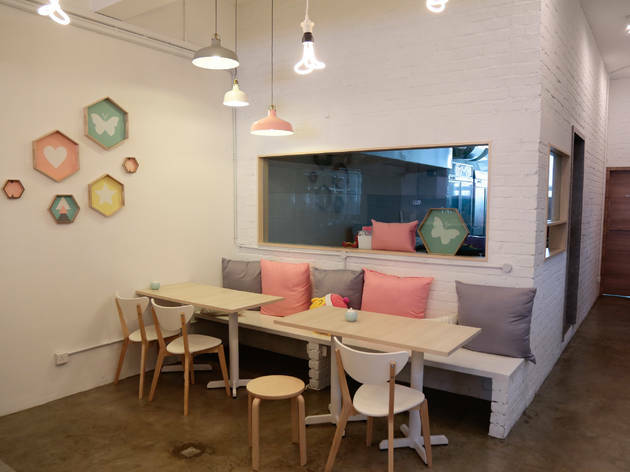 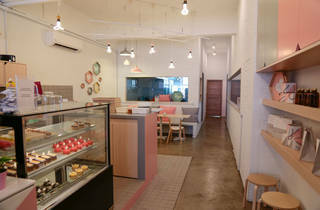 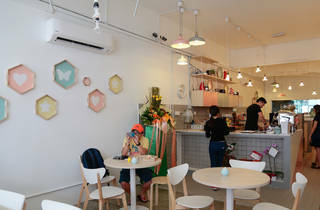 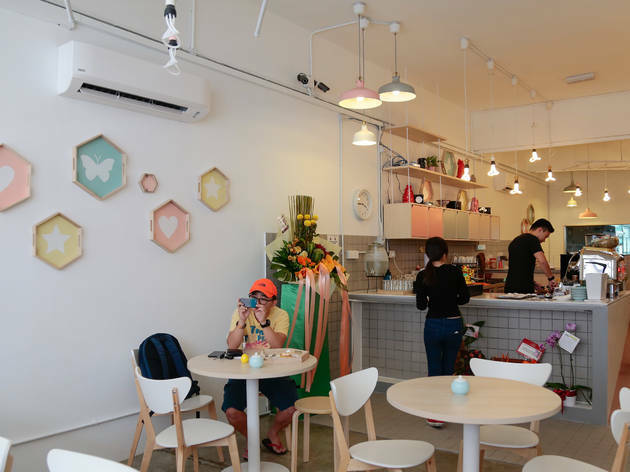 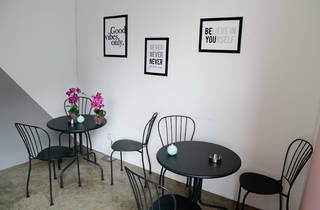 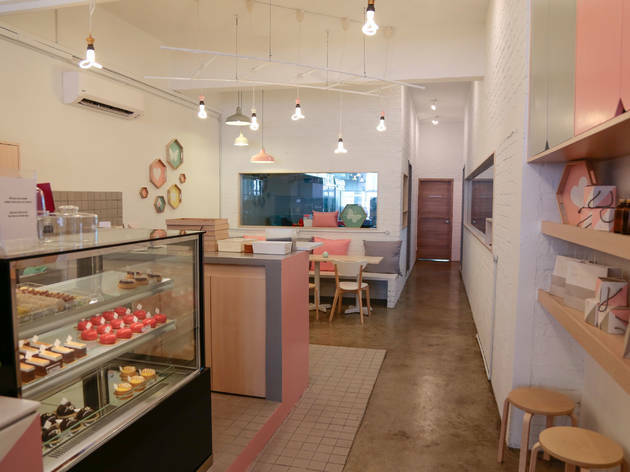 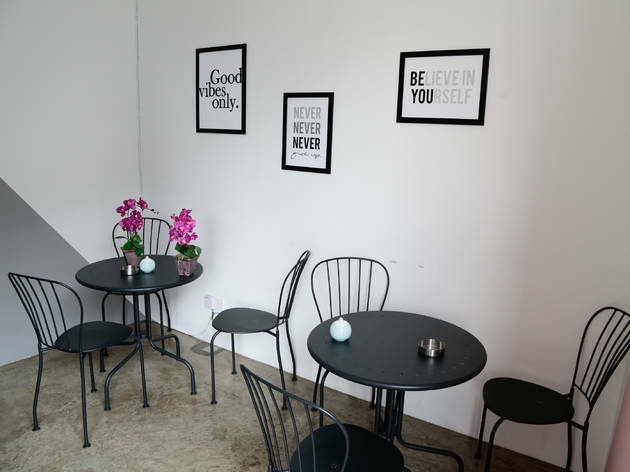 What started as an online macaron shop in 2013 is now a full-fledged patisserie in Sri Petaling, which means you can get your sugar fix after a zhap fan lunch or some book browsing. 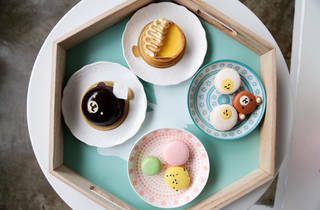 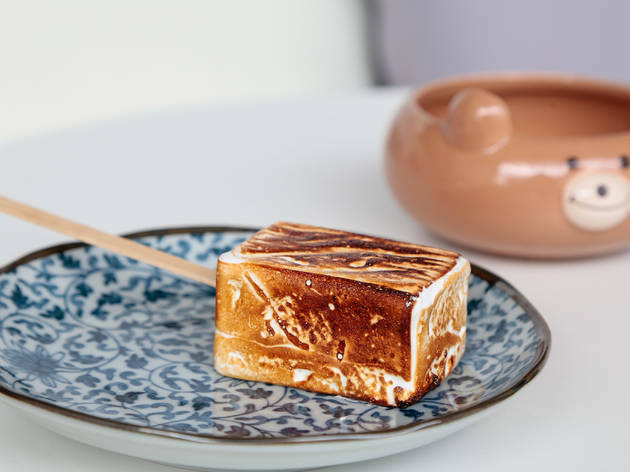 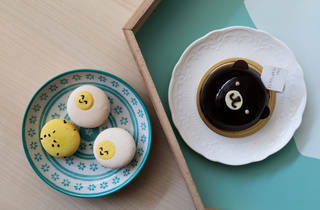 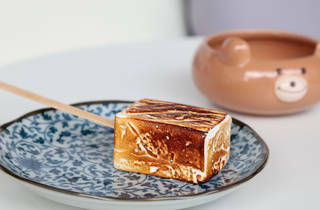 Branching out from macarons, the pastel-hued Tiny Temptress also has items like bear-shaped cakes, brûlée marshmallow ice cream and lemon meringue tart. 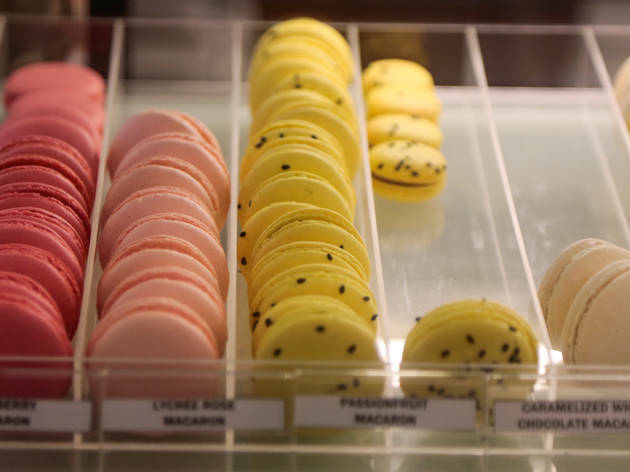 Wendy and her team make everything from scratch and their macarons' sugar content is said to be 30 percent less than big-name brands, so that's good news for everyone who's ever been turned off by a macaron's cloying sweetness. 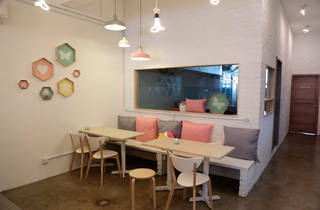 Interior-wise, Tiny Temptress is strikingly pretty: get past the oversized whisk acting as a door handle and you'll see triangles of pastel pink and grey colouring white walls, complementing the comfortably spread-out white wooden furniture. 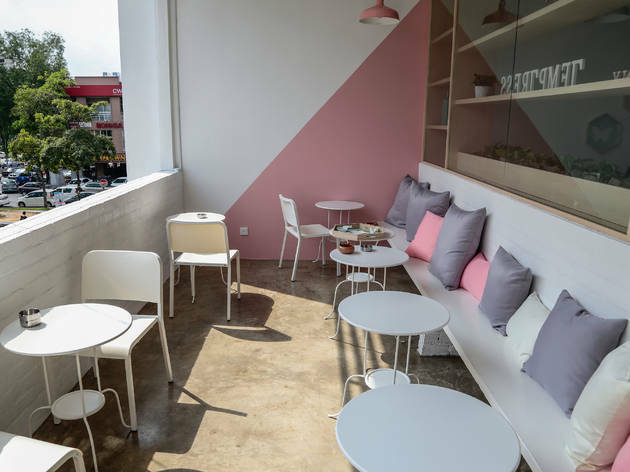 Cushions line the window seating area and if you’re lucky, you can use two fluffy yellow bird plushies as props for that inevitable Instagram shot. 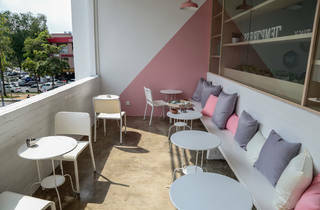 There’s also a sunlit outdoor section with more pastel pink and lilac cushions, black and white furnishings, and pots of (fake) violet orchids adorning the tables with bear-shaped centrepieces. 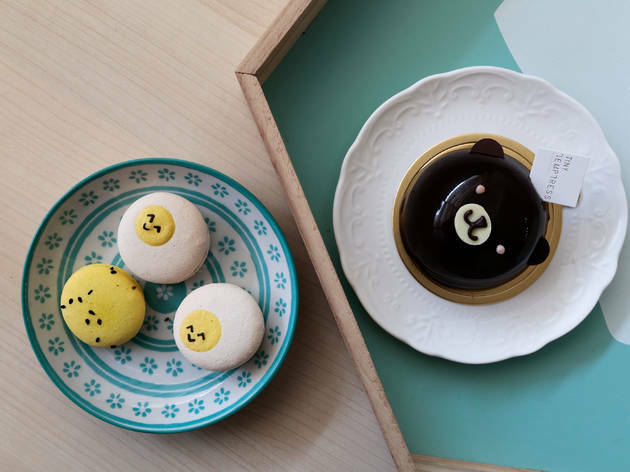 On the menu, macarons remain crowd favourites with flavours like passion fruit, lychee rose, kaffir lime and dark chocolate (it's teddy bear-shaped! 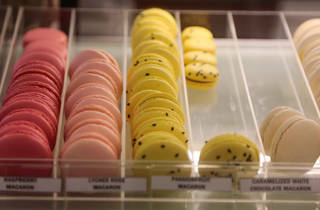 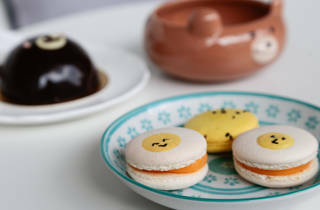 ), but if you're going to make a meal out of these smooth-shelled treats, make a beeline for the salted egg yolk macaron. 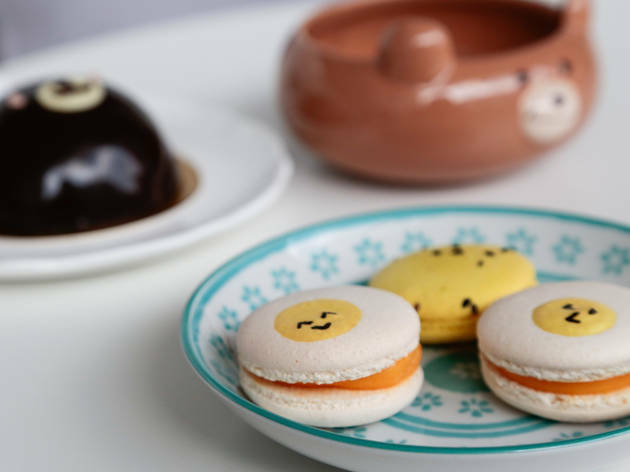 It's more sweet than savoury (not like your usual lao sar bao) but the white macaron topped with a cute egg yolk face is worth a try. 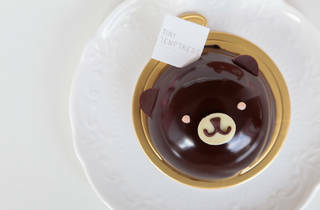 Another popular item is the chocolatey Bear Necessity cake filled with oolong mousse and passion fruit ganache, layered with a biscuit base. 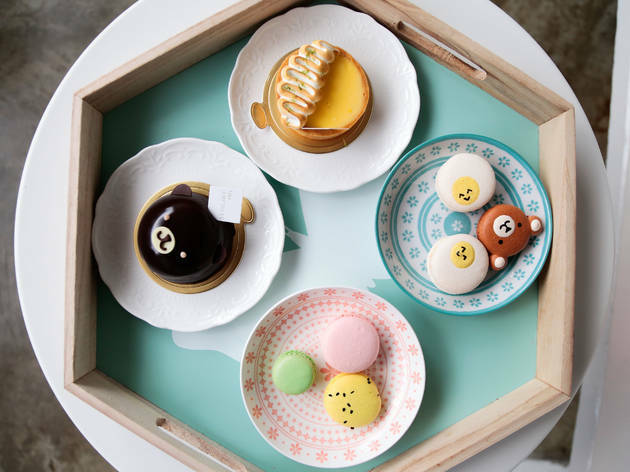 We couldn't help but notice the bear's resemblance to a popular San-X character so if you're in the mood to nibble on a relaxed bear, you know where to go.